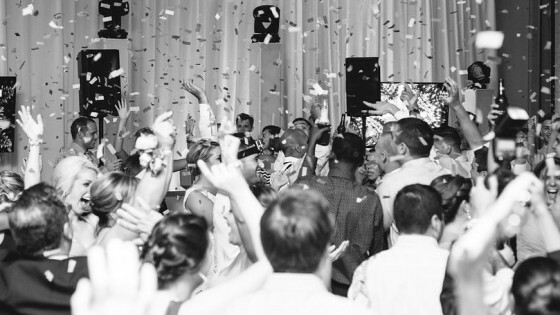 Back in September, we sent Jacob and the team to the Sheraton Baltimore North Hotel in Towson, Maryland, to throw a wild party for Vincent and Victoria. This big Italian party had 4 hours of solid dancing, pumped up by the light show and confetti brought by the EventPro crew. Afterwards, the EventPro team checked, and the crowd danced so wildly, they actually moved the dance floor by 3 feet! Check out more photos by Nikki Klauzlarich.